From safety tips to church security, here are some tools to help lower your risk. Solutions that improve child security, streamline the check-in process, and create a positive parent and visitor experience; all at an exceptional value. Child Welfare Information Gateway . Our GateKeeper Newsletter is just one more way SMCI reaches out to our customers to provide timely information about topics that are important to you, as well as information about our company and employees. Spring has sprung! Now is a good time to do some Spring maintenance around your church campus that can not only make your church cleaner, but it will make it safer, too. Start by identifying one individual who will be responsible for replacing the batteries in all smoke detectors and testing their function. This same person should also be responsible for checking that all fire extinguishers are fully charged and their inspection tags are up-to-date. If your church has gutters, be sure they are clean in order to prevent trapped moisture and water backup, which can result in damage to your buildings. You should also trim back overhanging tree limbs as needed, as well as inspect all walking surfaces and grounds for debris and trip hazards. Doing these things may not seem important at first, but you could prevent an accident that causes injury to a church member or visitor. We are pleased to recommend Intellicorp as a resource for purchasing background checks on volunteers, employees and staff members at a discounted price. For more information on services available, pricing, and ordering instructions, please visit the link below. First and foremost, you must HAVE A PLAN. Southern Mutual Church Insurance Company is responding by partnering with local law enforcement officials and key security consultants to provide our churches with the comprehensive information you need to create a security program suited to your church's specific needs. Over the coming months, we will continue to update our website with information and links to resources to help guide you as you provide a more secure church campus, without losing the welcoming environment your church is called to be in the community. Articles on Church Security from Strategos International. The KidCheck Blog is a great resource for all things related to the safety of the children in our churches. Do you patrol your parking lots? Jeff Kowell retired from the U.S. Army as a First Sergeant in 2004 with 20 years of service. In 2017 he retired as the Director of Life Safety at New Life Church in Colorado Springs, Colorado. Through the outreach of his blog, Jeff would like to raise awareness in churches of the need for a Security or Safety Ministry. You will find much wisdom in the words of this servant leader and the many years of experience he has in the area of Church Security. 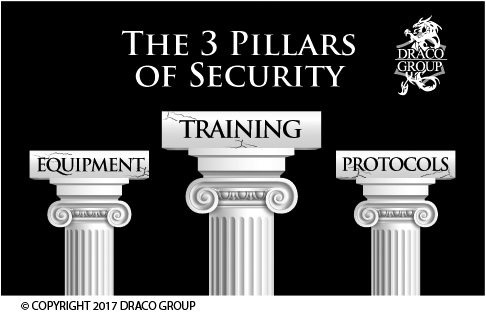 The Nehemiah Concept is a comprehensive biblical-based program around church security. It’s foundation and purpose are centered around the scriptures. The program provides congregations with a turn-key method for assembling, training and implementing their own security teams. Based in Waynesville, NC, The Nehemiah Concept serves all of the states in the SMCIC region. Drawing upon nearly a decade of experience in counterterrorism and homeland security consulting, De Angelis & Associates is a dynamic and continually expanding company headquartered in Lexington, South Carolina. With top-level partners from civil and military sectors, a global network and skills gained from years of study and in-field operations, we provide risk management planning, law enforcement training courses, counterterrorism tactics and security analysis for the government, armed forces, organizations and private citizens. GAFASTA is a provider of the highest level of firearms training and awareness presentations throughout Georgia including Atlanta, Gainesville, Athens, Rome and Savannah. GAFASTA develops tailor-made programs for groups, businesses and individuals that want the best training available to meet their specific needs. Located in Franklin, TN, AGAPE Tactical strives to provide superior training to individuals, families, churches, and businesses in the art of self-protection. We provide Security Planning/Assessments, firearms training, Active Shooter Response training, as well as other training and services. DRACO GROUP began in 2006 as a dedicated provider of elite security training and services. Our methodology was forged in the Israeli Special Operations community and this is the “no-nonsense” flavor we bring to the table. Our techniques are proven. We specialize in the recognition, mitigation, and defense against man-made threats to human life, property, and assets – everything you hold dear. DRACO GROUP is based in Atlanta, GA. In coordination with interagency partners, the DHS Center for Faith-based and Neighborhood Partnerships and Federal Emergency Management Agency (FEMA) established a website for faith-based organizations that serves as a “one-stop shop” for information on available Federal tools, resources, and assistance. FEMA provides state and local governments with preparedness program funding in the form of Preparedness (non-disaster) Grants to enhance the capacity of state, local, tribal and territorial emergency responders to prevent, respond to, and recover from a weapons of mass destruction terrorism incident involving chemical, biological, radiological, nuclear and other explosive devices, and cyber-attacks. Faith-based organizations play an integral role in local readiness and recovery efforts. To support these efforts, the Georgia Emergency Management Agency/Homeland Security is introducing a new initiative, Praise & Preparedness.